The first thing that you need to do is to organize all your files and documents. Have all these stored in one place, be it the forms, the receipts or other kinds of relevant documentation. By doing this you will be able to save a lot of time and also make the whole process more easy and convenient. Next, you should also check whether you qualify to file for free or not. If you have a W-2 along with very little bank interest then you would qualify. Also, do not forget about filing for your state taxes with TurboTax 2015. When you have a tax filing program like TurboTax, you would be able to file for state taxes and federal taxes easily because all your information can be transferred automatically. Another top tip to keep in mind would be to file online using TurboTax 2015 instead of doing the process manually because the latter is a time consuming process and the scope for errors is also higher. According to a recent Government Accountability Office report, the IRS continues to leave its vast computer systems without proper security. Private taxpayer data is vulnerable to hackers, fraudsters and former IRS employees. 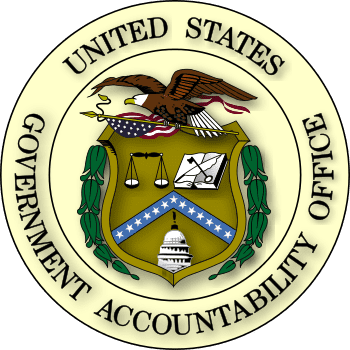 This GAO report tells of significant deficiencies relating to the financial reporting systems. Millions of Americans are rightfully concerned because they are required by law to file tax returns but worry about fraud. The IRS must continue making improvements to taxpayer financial data controls. This news comes in the wake of a very unpleasant six weeks for taxpayers and the IRS. Taxpayers have entered this filing season with greater fears over fraud. TurboTax recently announced it was suspending tax return filings due to fraud. Taxpayer distress became more severe when some learned that their tax return had been filed by someone else who received their refund. At first, it did not involve federal taxes, only state returns. The FBI began investigating returns filed using TurboTax. Those interviewed about this spoke of data being compromised and returns may have been filed on the basis of 2013 returns. The report tells of easily compromised IRS passwords and outdated software having improper security functions. Worse yet, at times the IRS fails to delete access for employees who quit or have been fired. Additionally, former employees of the IRS retain access to its data system when they should have been immediately cut off. A co-author of the report says that there is a plethora of taxpayer data that remains at risk for identity theft. Taxpayers have no confidence in the credibility and security of the IRS especially after the Treasury Inspector General for Tax Administration stated that 1.6 million taxpayers had been affected by identity theft early in 2014. It was a fraction of that four years before. Electronic filing likely plays a role. The GAO warns that gaining access to IRS files does not require much sophistication on the part of hackers. At the same time, it reports that some security weaknesses have been addressed, but more improvements must be made. We are currently in the midst of the tax season, and many tax filers already received their refunds. These individuals should feel happy and lucky because there is an issue currently afflicting the tax industry. Based on recent reports from the TheBestCompanys.com, some individuals are not receiving the refunds they were expecting. Apparently, identity thieves found a way to claim and steal from these unsuspecting individuals. Try using TurboTax 2015 next year. Since the start of the year, internet fraud on the Turbotax 2015 free platform increased by approximately 37%. This percentage includes suspicious filers and filers who had their information compromised by hackers. TurboTax 2013 creators were not aware of this glitch for quite some time. When they discovered the issue, they started making changes to their interface, and now these issues are becoming less frequent. The chief tax officer of Intuit, David Williams, believes internet fraud will be an ongoing problem. If they correct one problem, he expects the problem to pop up somewhere else. Intuit plans to do their part by placing safeguards and deterrents in vulnerable spots within the interface. This will help out the tax filer tremendously, but the tax filer needs to do their part as well. Intuit encourages tax filers to guard their information when they are filing a tax return. This will put another barrier in front of any hackers and thieves.